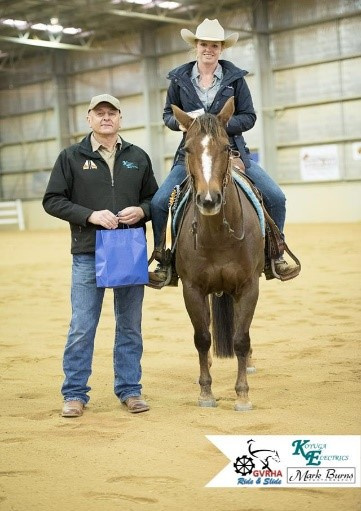 Log onto Reining Australia Website: For current list and contact details of accredited reining trainers closest to you: (http://www.reiningaustralia.com.au) and click on Contact us Tab. Want to know about the fastest growing western riding discpiline in the world ? To rein a horse is not only to guide him, but also to control his every movement. The best reined horse should be willingly guided or controlled with little or no apparent resistance and dictated to completely. Any movement on his own must be considered a lack of control. All deviations from the exact written pattern must be considered a lack of/or temporary loss of control and therefore a fault that must be marked down according to severity of deviation. After deducting all faults, set here within, against execution of the pattern and the horse’s overall performance, credit should be given for smoothness, finesse, attitude, quickness and authority of performing various maneuvers, while using controlled speed which raises the difficulty level and makes him more exciting and pleasing to watch to an audience. (1) The scoring will be on a basis of zero (0) to Infinity, with seventy (70) denoting an average performance. The individual maneuvers are scored in one-half (1⁄2) point increments from a low of -1½ (one and one-half to a high of +11⁄2 (one and one-half) with a score of zero (0) denoting a maneuver that is correct with no degree of difficulty. Scores will be announced after each horse works. What Membership do I need to show in Reining? 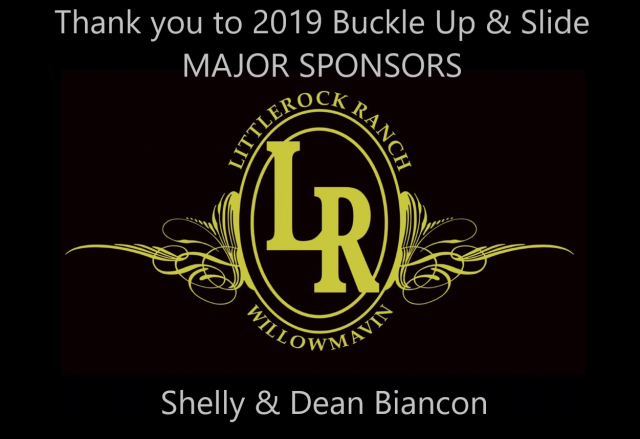 All affiliates run a number of non sanctioned events on their programs, such as Beginner Rider, Green Horse, Any Handed, two handed Rookie, Junior and Senior Horse classes. Non Sanctioned means that a rider can compete by being a member of their local Affiliate (this is necessary for insurance purposes) and that their horse does not have to be licensed. As at 2015 the constitution was change so that all non- sanctioned members must be members of Reining Australia through the Green Rider program. Your horses’ competition license allows Reining Australia and NRHA to keep excellent records of your earnings as well as your horse’s earnings. You must show your competition license and membership card (or copies of them) to the show secretary in order to enter any RA/NRHA approved class. This is a reasonably easy process, but you don’t want to wait until the last thing and worry about whether your license will arrive in time. The License does come from NRHA so we do need a couple of weeks processing time. Please send filled out application form and Breed papers if applicable (make sure the papers are in your name) to the Reining Australia secretary to be processed including your credit card details. As mentioned Reining is not restricted to registered horses or one particular Breed, so a license can be obtained with photos, both sides, front and back, where registration papers are not available in owner’s name proof of ownership must also be supplied (Bill of Sale or Statuary Declaration of ownership). You will also want to apply for NRHA Non Pro status, this form is also available on the RA website which doesn’t have to be renewed every year, unless you let your NRHA membership lapse. The Competition license cost is a one off fee for the lifetime of the horse. If showing in Youth classes you must have a Youth membership card. If the Youth is also a non pro (competing in Rookie etc), they must also complete an NRHA Non Pro Declaration. At each show you will be allocated a Competitors Number. This has to be worn at all times that you are riding your horse including in the warm up pen. Failing to wear your show number can result in a $25 fine. Pin your number to your saddle pad on the left hand side. It is also permitted to pin it to the back of your shirt. Please click on the Reining Australia link above for the Current Reining Australia's Warm Up/Schooliing Policy which is found under the Forms and Documents tab in the General Section. This will help you at your first show or come and see us in the show van. We are happy to help so your show experience is a Happy and Safe one.